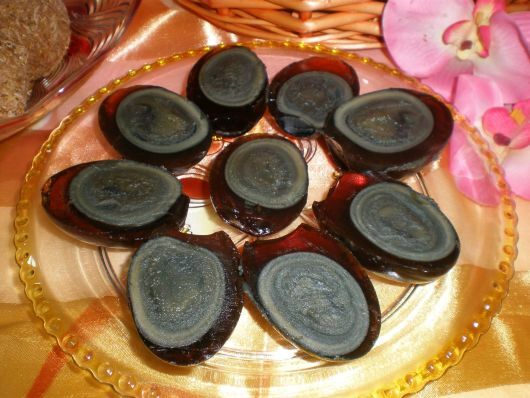 Century Duck Eggs is called , which are best when about 100 days old. The lime has a petrifying effect, making the egg look like it has been buried for at least a century. The black outer shell is removed to expose an amber-coloured white and dark golden yolk. It usually eaten uncooked, as dishes or an appetizer. Soy sauce or minced ginger makes a good accompaniment with century duck eggs when serve.